Hi all! Hope you guys had a great weekend. Mine was pretty awesome: we attended a wedding in the beautiful Finger Lakes region of Upstate New York and it was real good times, to say the least. If you follow me on my other social media platforms, than you've already had a taste of what my first official weekend of summer was like. Did you guys do anything special? 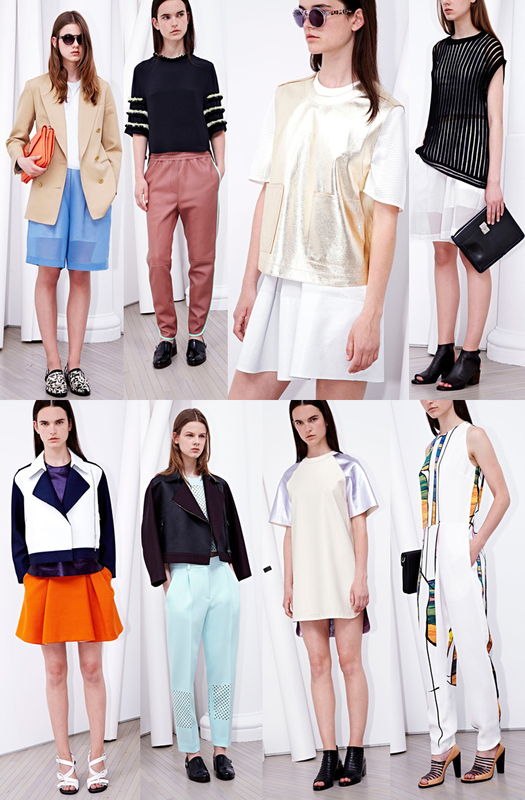 Let's start the week off with another installment of the Resort 2014 collections (see also Part I & Part II). Moving along today with 3.1 Phillip Lim -- always a favorite -- Theyskens' Theory -- always a good crowd-pleaser -- Tibi -- nails it every time -- and Burberry, simply great season after season.